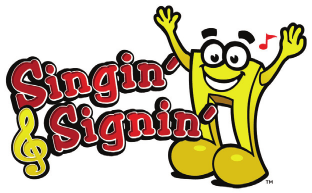 Singin' & Signin' is a revolutionary supplemental math program designed for intermediate grades. Through easily recalled childhood songs and chants, the program teaches complex concepts using accompanying signs and gestures that easily adapts to any curriculum. Over 50 user-friendly, standard based lessons. Instructional videos and sample lessons drastically reduce teacher preparation time. Additional Resource CD includes printable files such as flash cards, "Flip & Fold" materials, songbook, easy reference chart, and more. Math Software by RM Inc.